← After a string of fire. I am looking for documentary photos showing Tavor rifles in actual use. These have to be publishable as elements of an illustration — either in the public domain or with known, reachable authors. High resolution — 2000px and up highly preferred. This entry was posted in advice requested, rifle and tagged Israel, Tavor. Bookmark the permalink. You have these already, I expect. They aren’t high enough resolution, but perhaps the authors or photographers can be contacted? Their contact form doesn’t work. Any idea how I could contact IDF? When you find pictures and they are not high enough resolution try using google image search’s feature for finding other resolutions of the image. I’m not even 100% sure it IS the Tavor, it looks like it but I can’t tell due to hand placement. 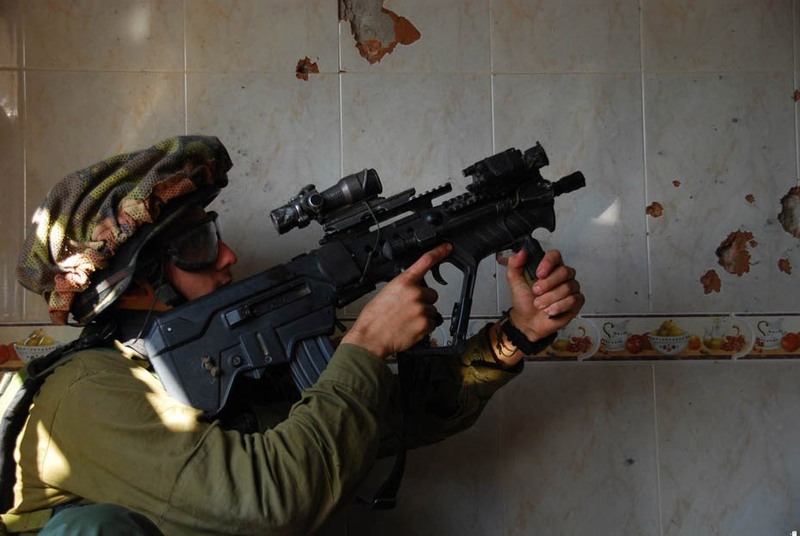 Does the IDF have any bullpups other than the Tavor?